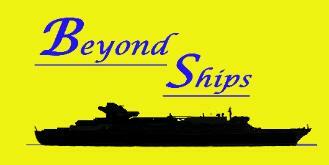 however, spending time on both levels. 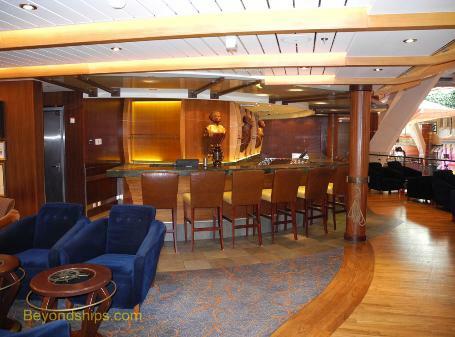 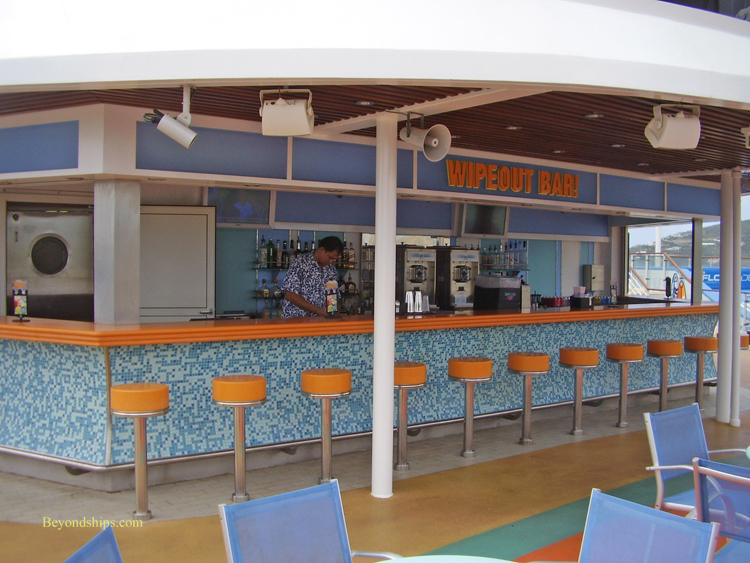 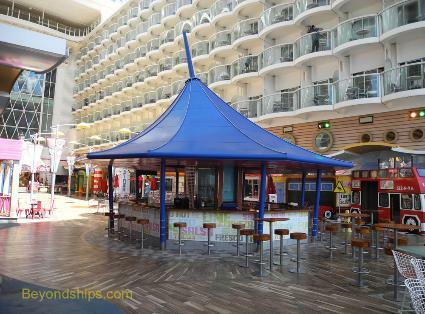 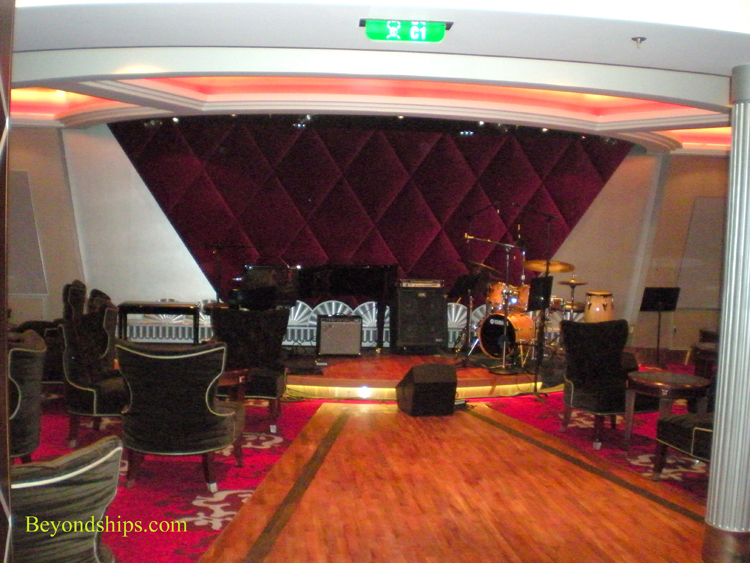 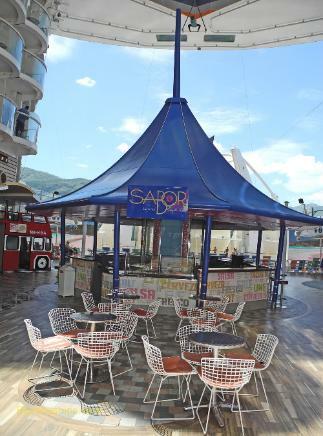 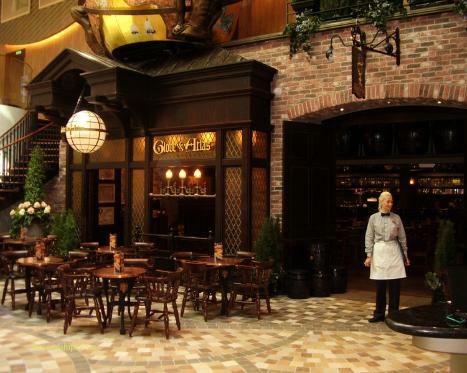 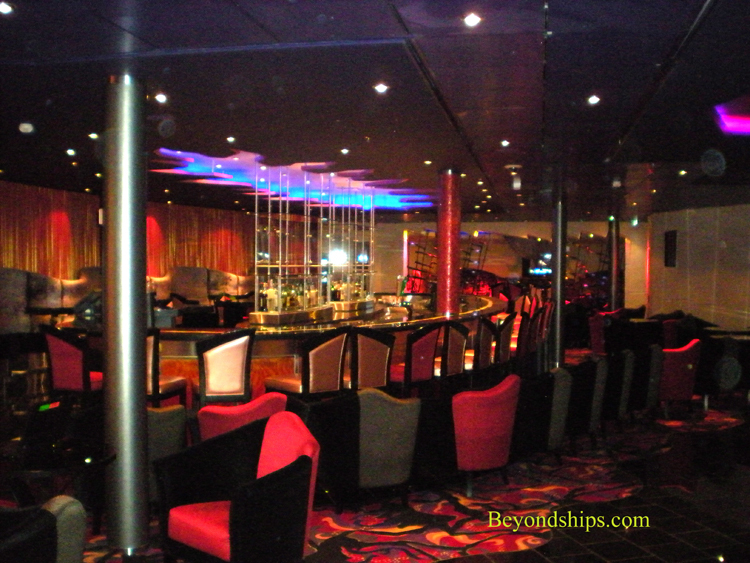 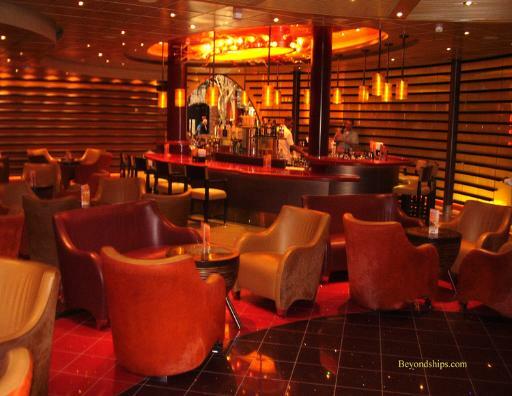 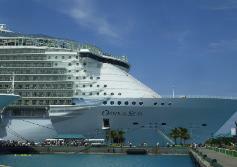 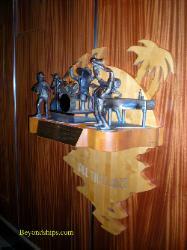 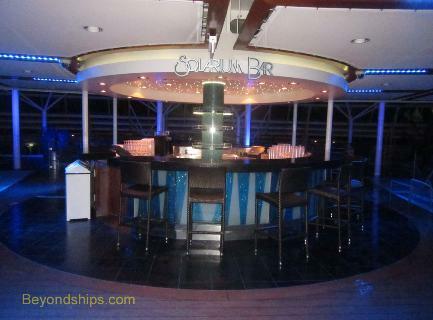 other RCI ships, this is not only a popular watering hole but the scene for trivia contests and similar activities. 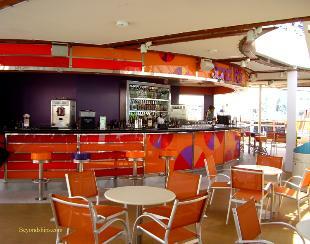 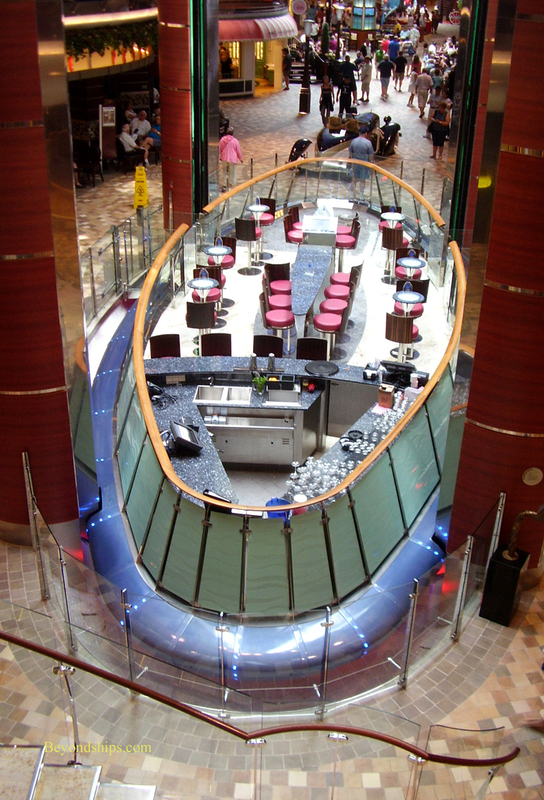 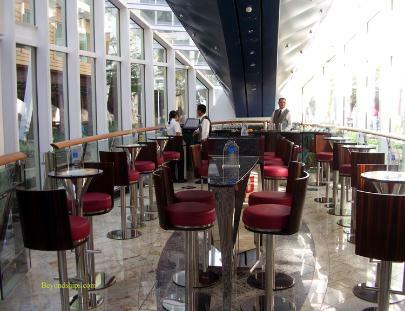 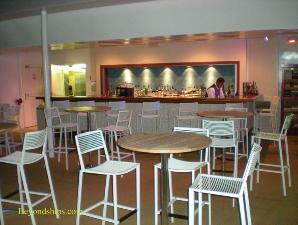 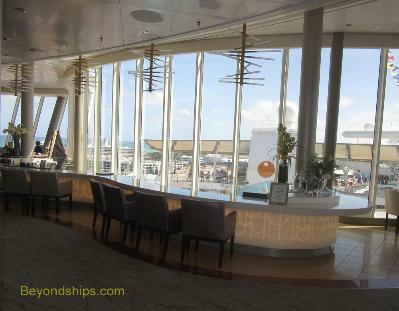 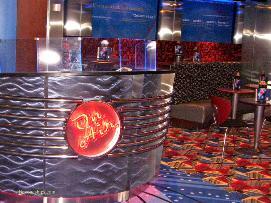 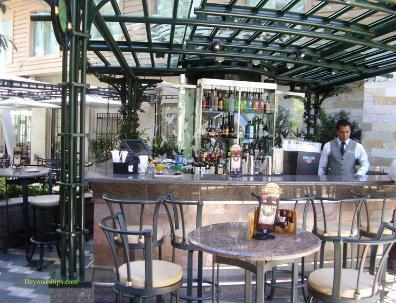 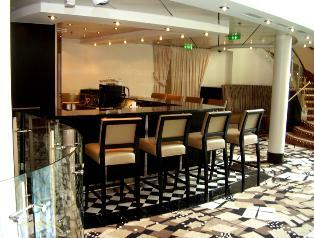 Another familiar RCI venue is the Champagne Bar, located at the aft end of the main level of the promenade. 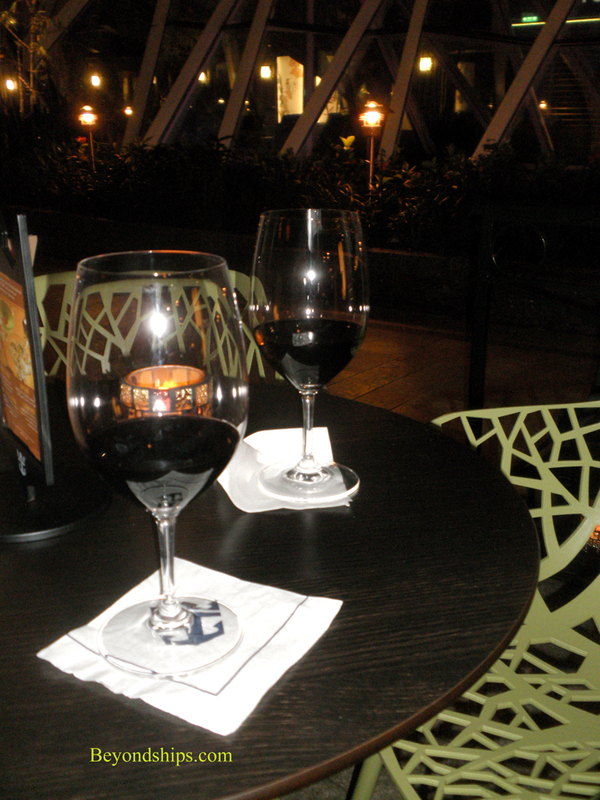 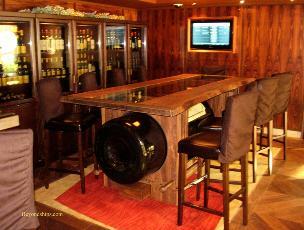 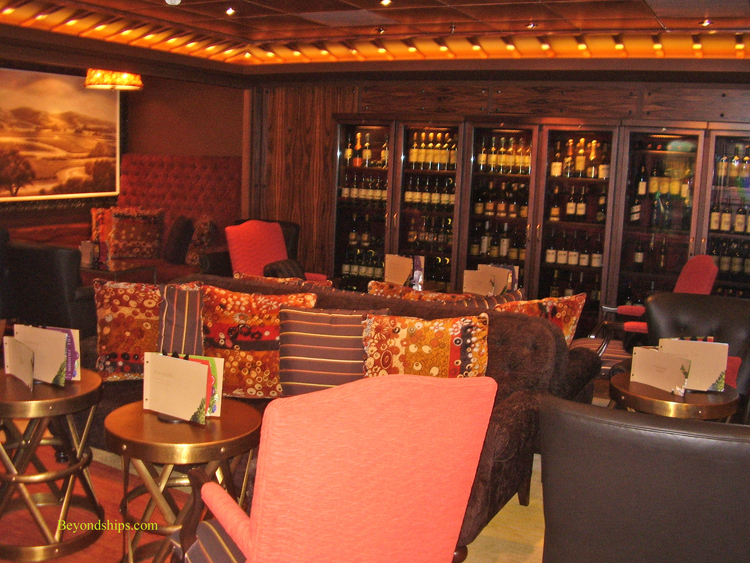 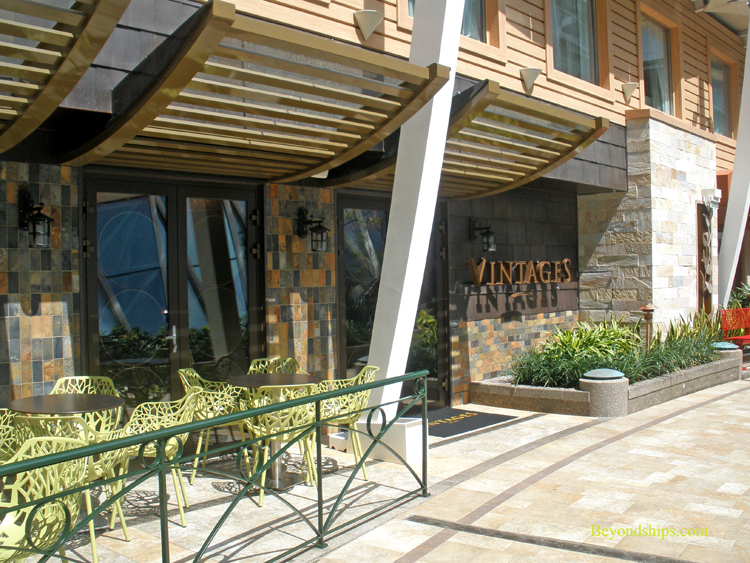 enjoy their wine in the pleasant wood-paneled interior or outdoors in the park. 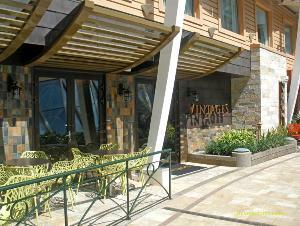 In addition to wine, Vintages serves tappas dishes. 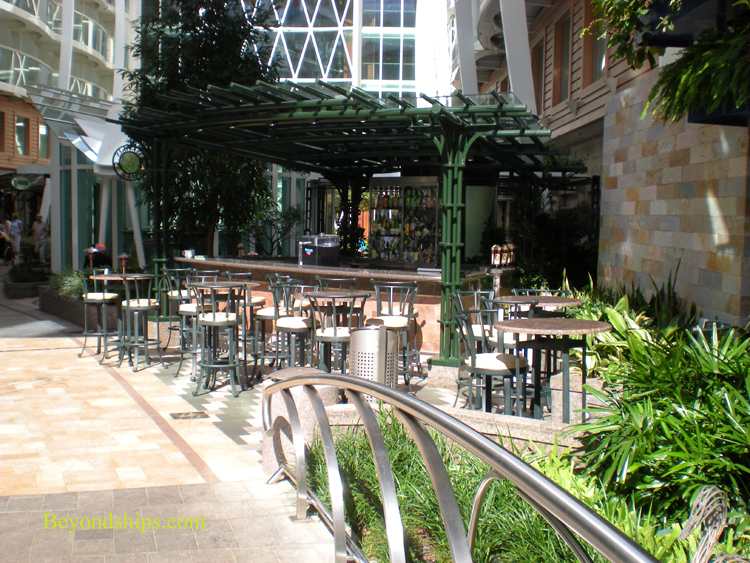 Outdoors below the Living Wall is the Trellis Bar (below). restaurant at the end of the boardwalk just before the AquaTheater. 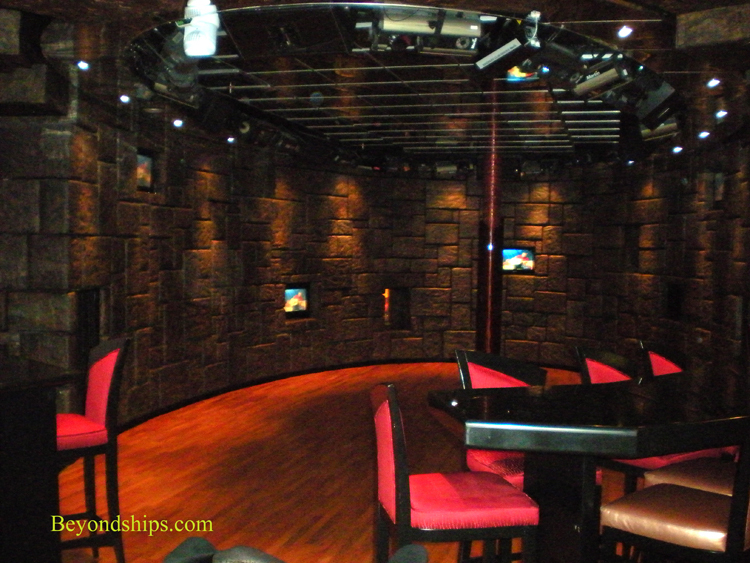 Blaze (above) was designed as a hip nightclub with a dungeon theme. Jazz on Four(below) features live jazz performances. pool area. 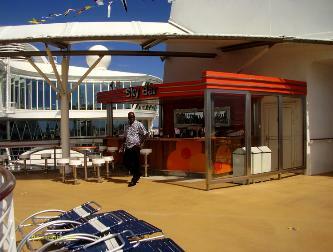 Upper left: The Solarium Bar. 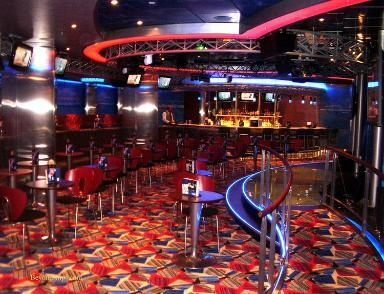 Sand Bar. 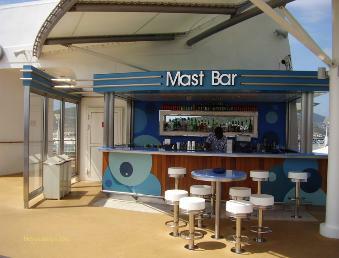 Below middle: the Sky Bar. 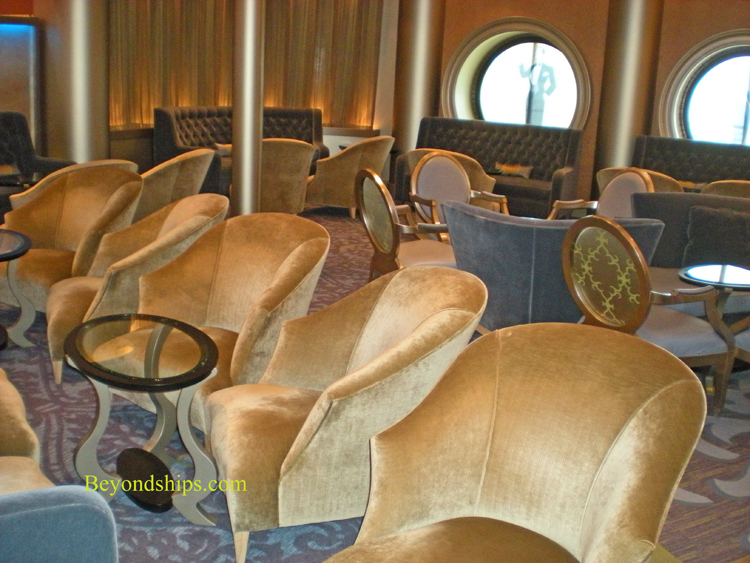 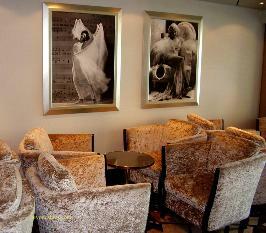 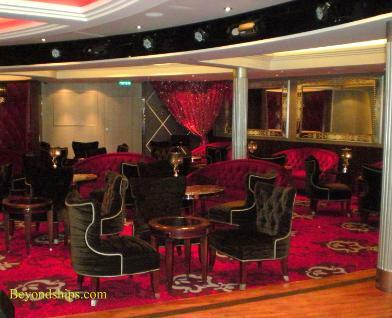 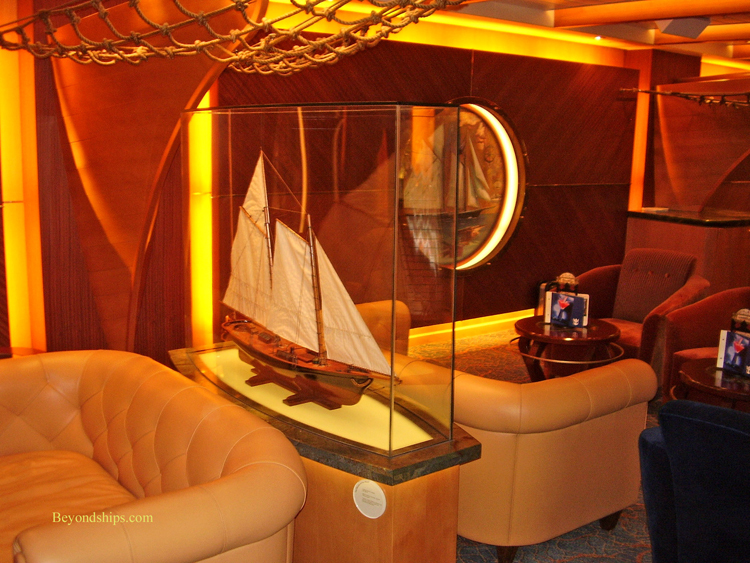 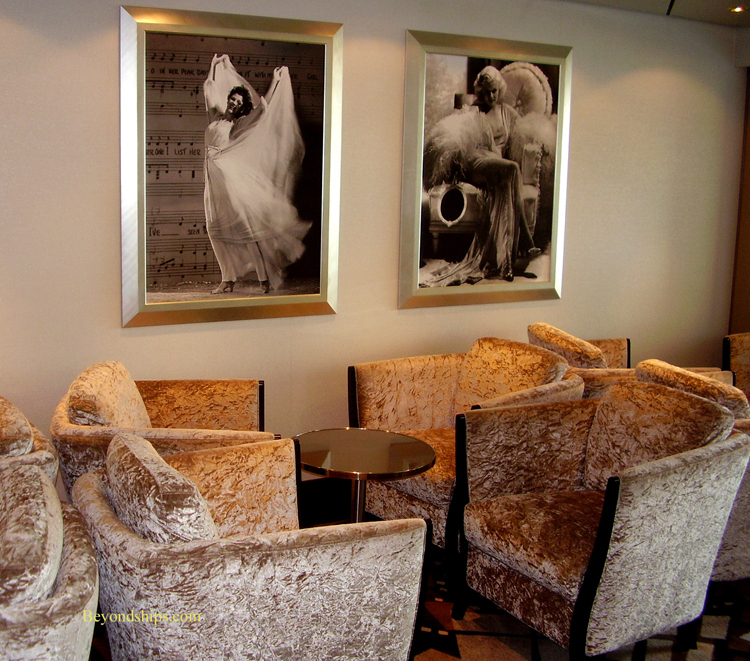 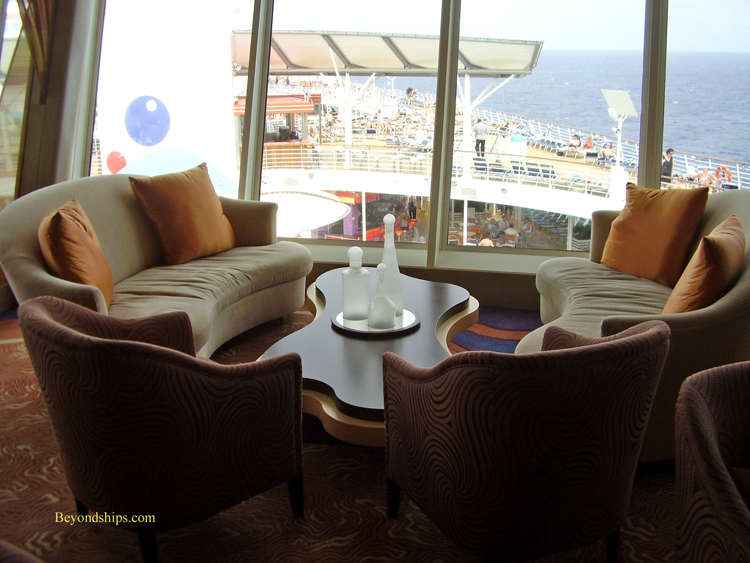 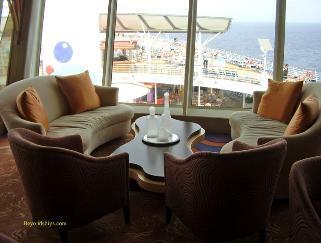 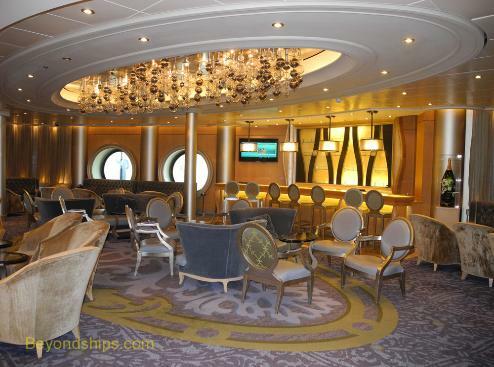 Promenade was turned into staterooms. 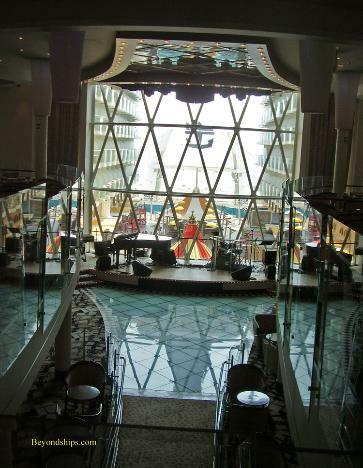 includes rock and contemporary sounds. 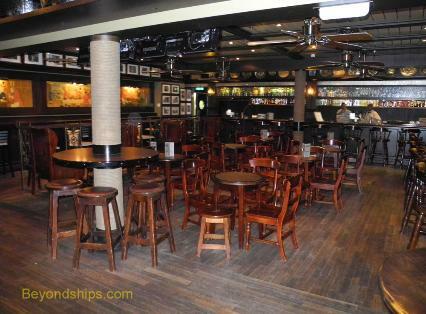 The Globe and Atlas (above) is an English pub with live music. 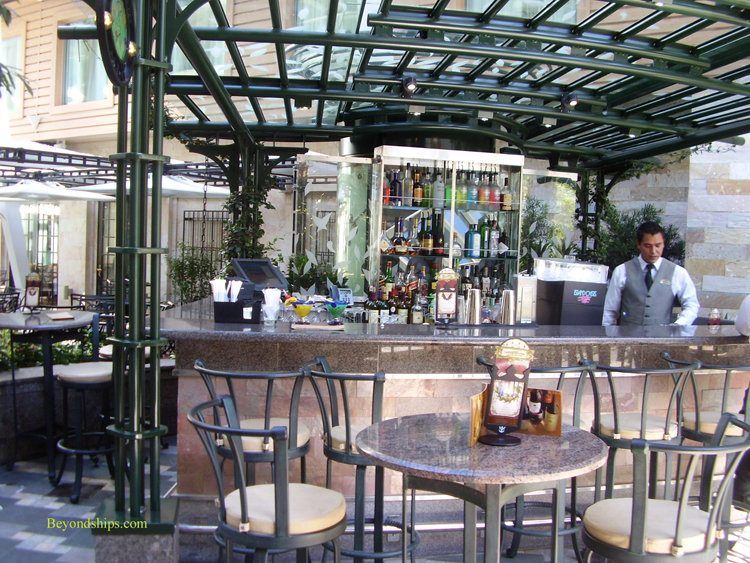 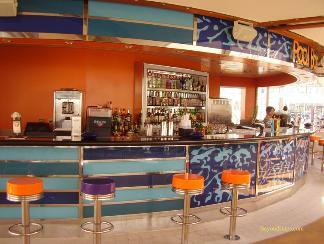 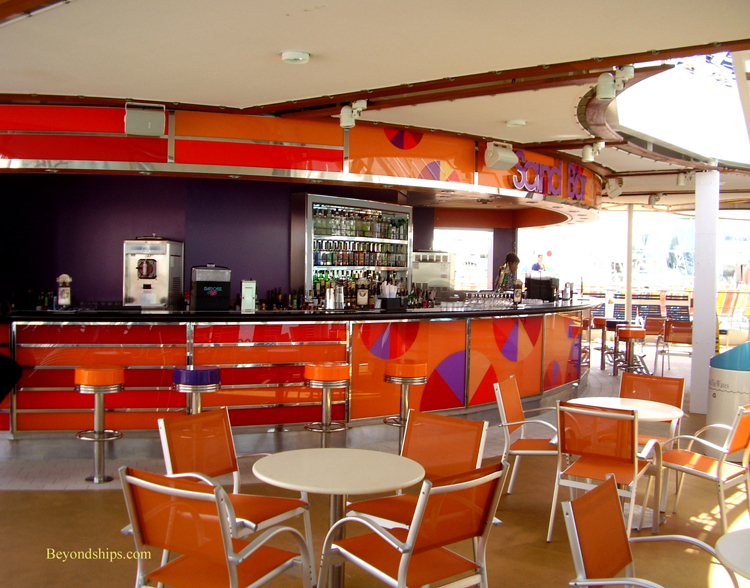 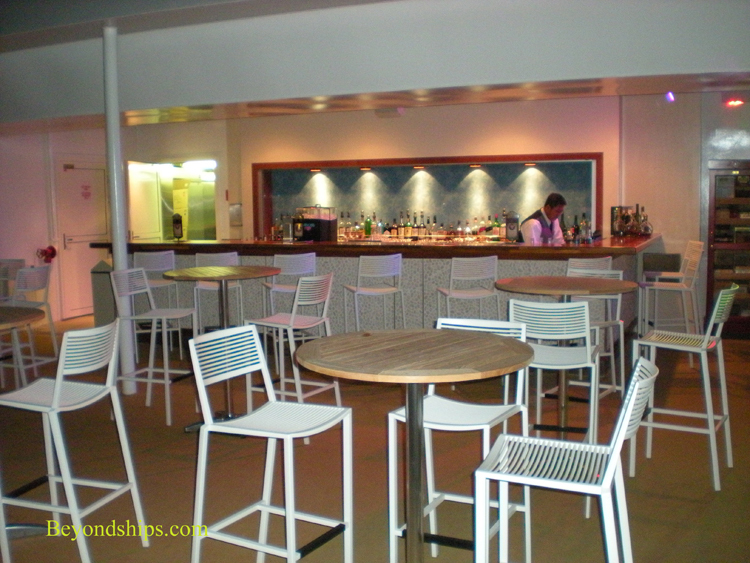 Boleros (below left) is a Latin-flavored lounge while across the promenade is the On the Air disco (below right).